6th Annual Winter Tracks Festival on the Gunflint Trail! Looking for a last-minute getaway for the weekend? The Gunflint Trail Association near Grand Marais offers a fun and unique winter experience. New: Saturday, Feb. 27–Opening of the exhibit of the Winter Plein Air Painting Festival at Gunflint Lodge. This is a great opportunity to mingle with the artists and view/purchase locally painted scenes. The exhibit will also be open on Sunday, Feb. 28, from 10 am-2 pm. 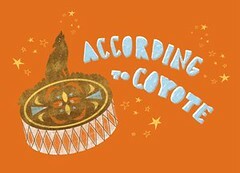 Another Native American trickster-like character is Nana’b'oozoo, “who has retained the affection of the Anishinaubae people, who have told hundreds of stories of his misadventures” according to Basil Johnston, author of The Manitous: The Spiritual World of the Ojibway. Johnston’s book is filled with stories of the well-meaning but often blundering half-manitou and half-human Nana’b'oozoo, as well as legends and tales of manitous, mystical beings who are divine and essential forces in the spiritual life of the Ojibwe. 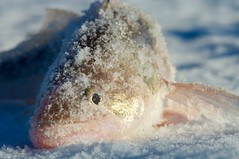 Greg Breining, author of A Hard-Water World: Ice Fishing and Why We Do It, with photos by Layne Kennedy, was a guest this weekend on The Splendid Table with Lynne Rossetto Kasper. Greg talks about “walking on water,” ice fishing on Russia’s Volga River, and the delicate flavor of yellow perch. You can use your own fresh catch to make Lynne’s Sweet/Sour Ice House Fish Stew. Looking for something fun to do this weekend? Try one of these programs, then read books that help you go deeper into the story. State Capitol Art Treasures Hunt : Go on a self-guided scavenger hunt to discover twelve beautiful and important decorations in the state capitol building. 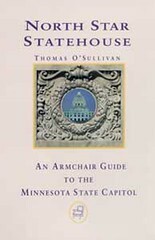 Then read Thomas O’Sullivan’s North Star Statehouse: An Armchair Guide to the Minnesota State Capitol and learn how they got there. Looking Toward Spring on the F arm : Visit the Oliver H. Kelley Farm at Elk River and see how families prepared for spring by helping to clean up the barn, sorting through the remaining preserved foods and crocks, feeding the animals, and checking on seed stock and equipment repairs. 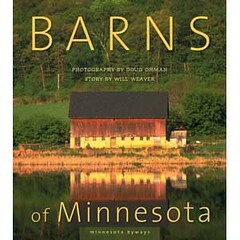 Then read Barns of Minnesota with photographs by Doug Ohman and text by Will Weaver, a beautiful and evocative story of the life of a barn. History HiJinx: Black History Month Craft Activity and Scavenger Hunt : Explore the museum galleries and hunt for special cards to learn about African American men and women who made significant contributions to the state of Minnesota. 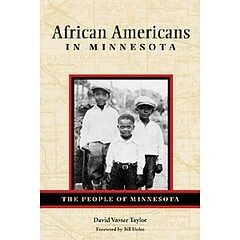 Kids can use these images, as well as other collage materials, to create a “tunnel book.” Then read David V. Taylor’s African Americans in Minnesota, a rich history of the group’s experiences and accomplishments. Sunday, February 14, 6 p.m. Celebrate Valentine’s Day with classic poems of the nineteenth century in the elegant drawing room of the Hill House. Costumed actors Craig Johnson, Laura Salveson, and Ann Daly will perform a wide range of beloved poems by Dickinson, Poe, Longfellow, Browning, and others dealing with love, romance, temperance, sports, and war — even poems about James J. Hill. The one-hour program will be followed by light refreshments and tours of the home. 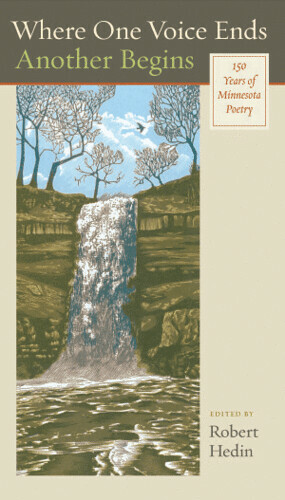 And if you’re looking for more modern poetry to read aloud to your beloved, check out our beautiful collection by Minnesota poets, Where One Voice Ends, Another Begins: 150 Years of Minnesota Poetry edited by Robert Hedin. MHS Press is proud to announce the publication of Ojibwe in Minnesota by Anton Treuer, professor of Ojibwe at Bemidji State University. With insight and candor, Treuer traces thousands of years of the complicated history of the Ojibwe people–their economy, culture, and clan system, and how these have changed throughout time, perhaps most dramatically with the arrival of Europeans into Minnesota territory. Treuer also tackles the complicated issue of identity and details recent efforts and successes in cultural preservation and language revitalization. He mentions the Niigaane Ojibwe Immersion Charter School, which was developed to revitalize the Ojibwe language on the Leech Lake Reservation. Minnesota Public Radio recently aired a segment on the Naytahwaush Community Charter School on the White Earth Reservation, which also uses traditional Ojibwe language and culture to get kids and parents excited about education. Come meet Anton Treuer at Birchbark Books on Thursday, March 11, at 7:00 p.m. 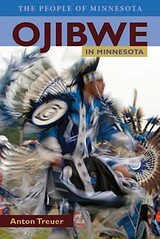 He will talk about the book, discuss Ojibwe history and culture, and sign copies of Ojibwe in Minnesota. A country at war. Nationwide concerns about conserving fuel. A big push for eating locally produced foods that are lower on the food chain. Sound familiar? It all happened almost a century ago. In an insightful interview in AgriNews, author Rae Eighmey comments on how today’s events reflect challenges faced in World War I. “The way I approach history is, if you can get a recipe, you can immediately be transported back in time,” says Eighmey. 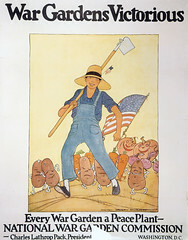 The sixty recipes in her book, Food Will Win the War, will take you there, too. 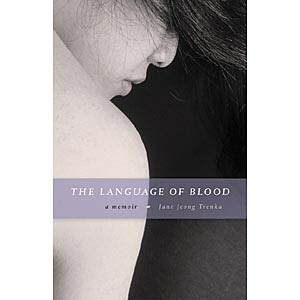 Jane Jeong Trenka, author of the memoir The Language of Blood, is interviewed by Amy Goetzman in MinnPost for an interesting take on the Haitian adoption issue. Trenka, who was adopted by an American family, found out as an adult that her Korean birth mother was still alive. Jane Jeong Trenka has a new book out from local publisher Graywolf: Fugitive Visions: An Adoptee’s Return to Korea. 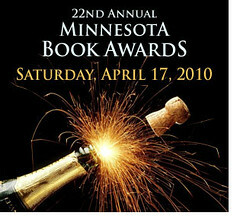 Winners will be announced at the Minnesota Book Awards Gala on April 17, presented by the Friends of the St. Paul Public Library.